Posted on May 31, 2014	by chainsoff. WorldTribune The United States has intensified a defense dialogue with the United Arab Emirates. Officials said the administration of President Barack Obama was focusing on expanding defense relations with the UAE amid the U.S. rift with Saudi Arabia. 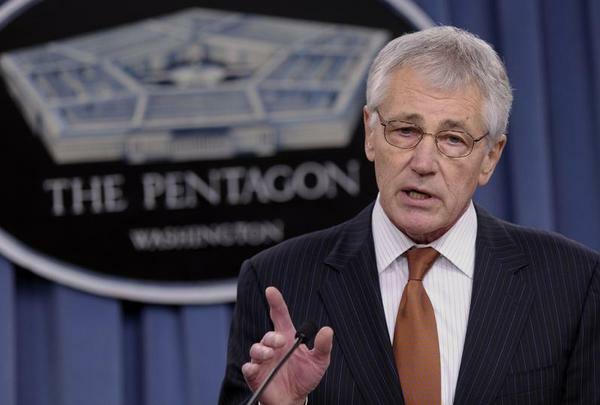 U.S. Defense Secretary Chuck Hagel. /AP/Susan Walsh The officials said Washington was considering expanding the U.S. military presence in the UAE as well as encouraging it to lead regional defense cooperation. “There are lots of ideas to make the UAE role more prominent,” an official said. Over the last few months, the U.S. Defense Department has expanded its dialogue with its UAE counterpart. Officials said the efforts focused on UAE deputy supreme commander, Gen. Mohammed Bin Zayed Al Nahyan, also crown prince of Abu Dhabi. On April 16, Defense Secretary Chuck Hagel discussed regional and defense cooperation issues in a phone call with Mohammed. Officials said the conversation followed up on Mohammed’s meeting with President Barack Obama in late March, which focused on the Iranian threat. “Secretary Hagel reiterated the steadfast U.S. commitment to its strategic partnership with the UAE and affirmed the importance of maintaining strong bilateral defense cooperation to ensure a stable and secure Middle East, a common objective of both countries,” Pentagon spokesman John Kirby said. Officials said Hagel raised what were termed “new forms of multilateral cooperation” with Abu Dhabi. The defense secretary praised the UAE for cooperation with the United States and efforts to expand regional collaboration. “The conversation ended with a discussion on regional issues, including Syria, Egypt, and Libya,” Kirby said. In March, the UAE joined Bahrain and Saudi Arabia in withdrawing their ambassadors from Qatar in protest of its hosting senior operatives of Hizbullah and the Muslim Brotherhood. Obama failed to convene a GCC summit to reconcile the crisis during his visit to Riyad on March 28.